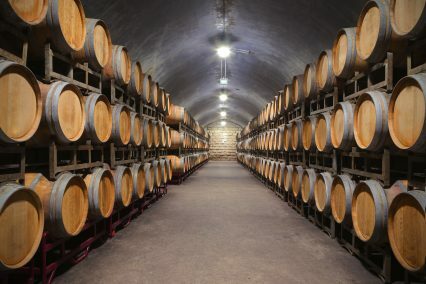 Italy’s ECA, Sace, has guaranteed 50% of a €1.5mn loan by Banca Popolare dell’Emilia Romagna (BPER) to support exports from wine producer Zaccagnini. The loan will be used to purchase and renew the plant and machinery, participate in national and international trade shows and events, and promote the brand abroad, especially in new markets in Asia (China, Japan, Korea, Taiwan and Vietnam), as well as Brazil and Canada. Zaccagnini produces 4 million bottles of wine yearly from its 150-hectare Abruzzo vineyard, and sells 85% of them in 36 countries around the world. It generated sales in excess of €17mn last year. It is currently the second largest exporter of Italian wine to the US, and the first to Northern Europe. Exports of Italian wines grew by 1.3% in the first nine months of 2014. Sace believes emerging markets offer good medium to long-term prospects for growth, especially in Eastern Europe (Poland and Czech Republic), Latin America (Mexico and Brazil) and Asia (China, South Korea, Hong Kong and Singapore).